Azure Stream Analytics includes Azure Service Bus queues and topics as built-in output types. These options enable you to easily integrate your stream-processing logic with line-of-business applications, alerts and notifications, and other downstream workflows. 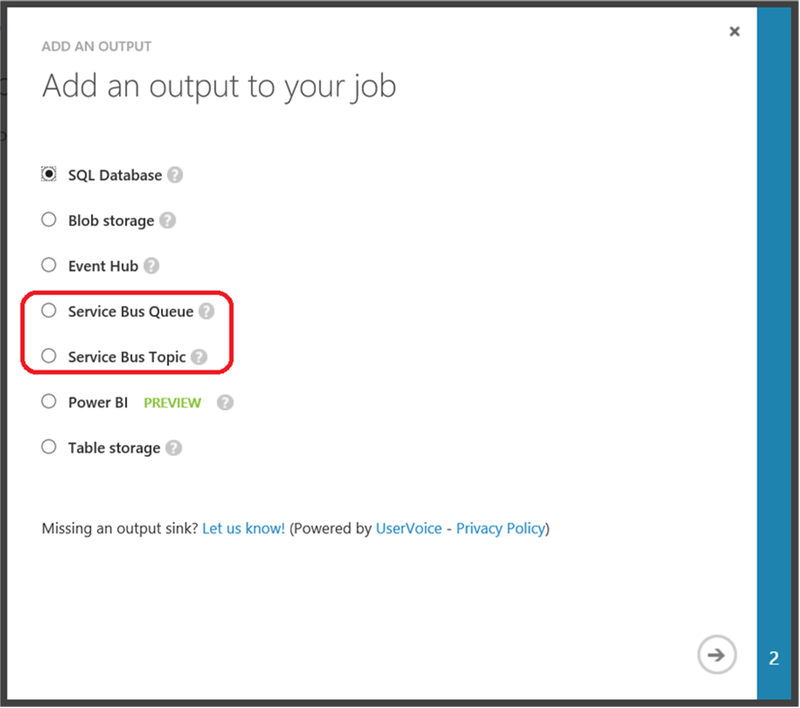 Also in this update is support for connecting to Power BI output for Stream Analytics jobs under any Azure account (Microsoft account or work or school account). Additionally, you can choose to have one work or school account for your Azure account and use a different one for authorizing Power BI output. For details on setting up a Stream Analytics job with Power BI, refer to Azure Stream Analytics & Power BI: Live dashboard for analytics in real-time on streaming data.